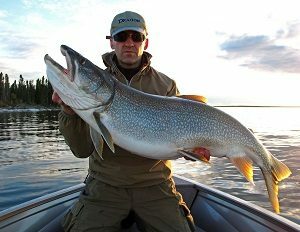 The Lake Trout (Salvelinus namaycush) are native to North America with a large abundance in Northern Saskatchewan. 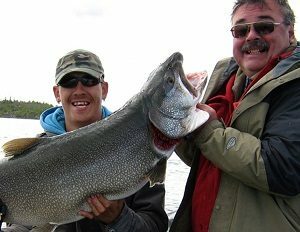 Although they are considered to be a trout, (as the name “Lake Trout” implies), they are actually part of the Salmon family and the largest of the Char. 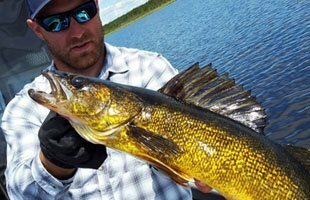 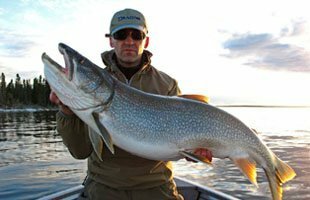 Reindeer Lake is home to some of the largest Lake Trout in the world and thanks to its cold Canadian waters, it allows anglers to easily catch Lake Trout close to the surface most of the season. 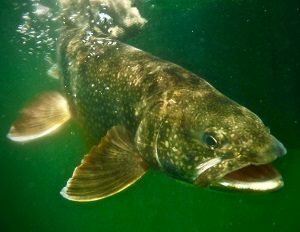 During the warmest time of the summer, they enjoy a deep water environment, then come back up to spawn in August to mid-September. 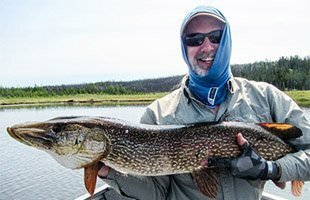 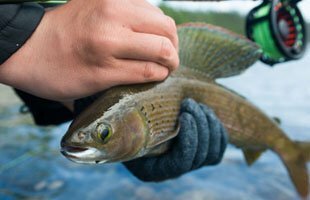 An average catch will be 6 to 30 pounds but can get up to 60+ pounds, our lodge record of 73 pounds tells you we don’t mess around. 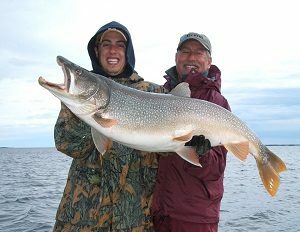 The Lake Trout has a large forked tail and a thick strong body which gives them great power for a fight that will continue to peel your line off, be sure to wear your arms out, and give you an unbelievable memory that we are sure you will never forget.